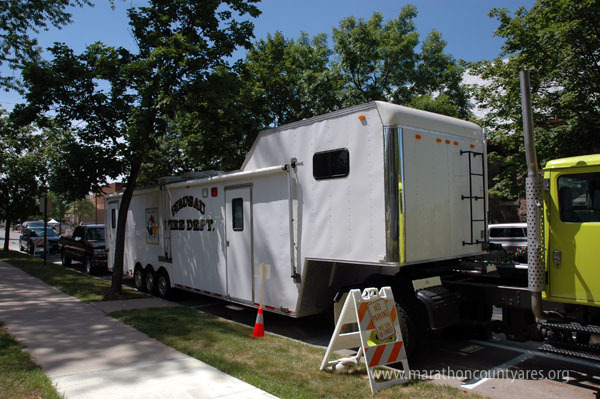 Marathon County ARES/RACES provided an amateur television (atv) link for the Wausau Fire Department as part of their planned response to Wausau’s Rock the 400 Block concert event held on Saturday July 21, 2012. The concert, an all day concert event, held in the downtown area on the 400 block green space was anticipated to draw up to 6,000 spectators. The challenge was to provide situational awareness for the Fire Department and other responders so that they could keep tabs on the event from their Incident Command Site (ICS) located several blocks away from the event. 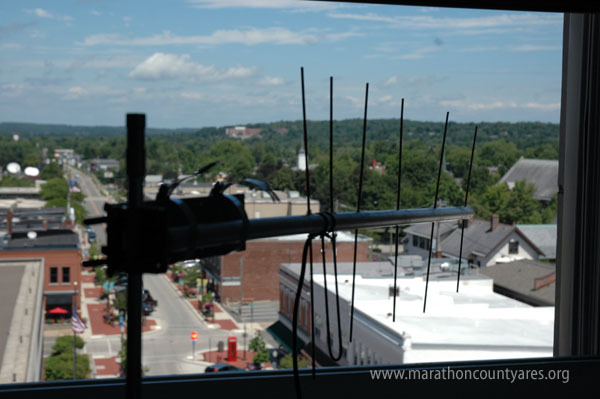 Marathon County ARES/RACES operators set up an amateur television link from a vantage point located in a vacant apartment above the 400 block and transmitted live television imagery to the trailer several blocks away. Two ARES members, along with Wausau Police observers, where stationed in the apartment to observe and operate the ATV equipment. 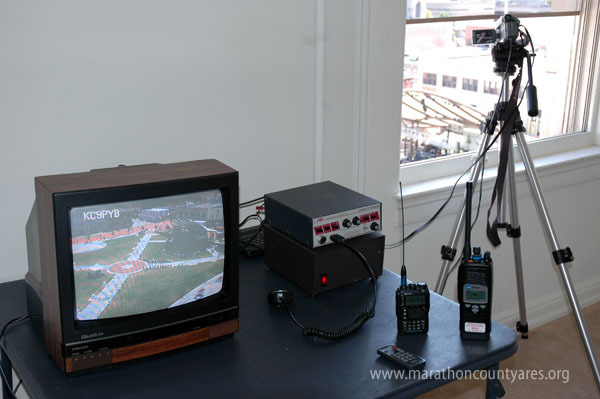 The ARES group used a pair of AES Electronics VSB-70 fast scan ATV transceivers for the link along with a pair of 5 element UHF yagi antennas. 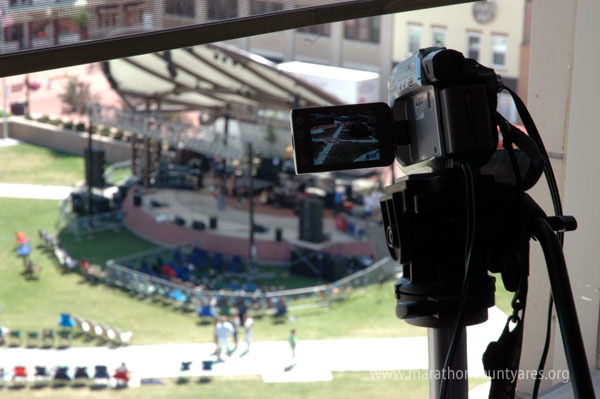 A small camcorder mounted on a tripod furnished the source image. Image quality was excellent, on par with a standard definition television signal. The fire department really appreciated the 20x zoom on the camera so that they could isolate individuals in the crowd. 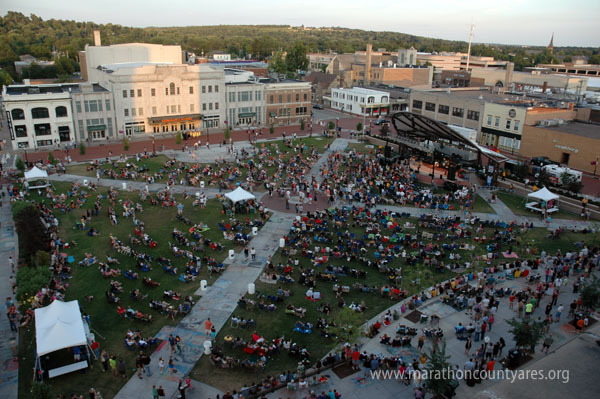 The event’s attendance didn’t meet the expectations of the organizers, but it did give the City of Wausau experience in creating a response plan for handling crowds and events downtown. The Wausau Fire Department was greatly impressed with the ARES/RACES team’s ability to provide ATV imagery and are looking forward to using their services in future public events.